Last September, a group of seven travelers representing the Jewish Federation of Greater Vancouver set off on an expedition to the far east of Siberia. Jews going to Siberia? Had to be a very good reason. And there was. For more than a decade, the Jewish Federation, in partnership with the American Jewish Joint Distribution Committee (JDC), has been contributing to the support of Jews in need, wherever they may live in the world. 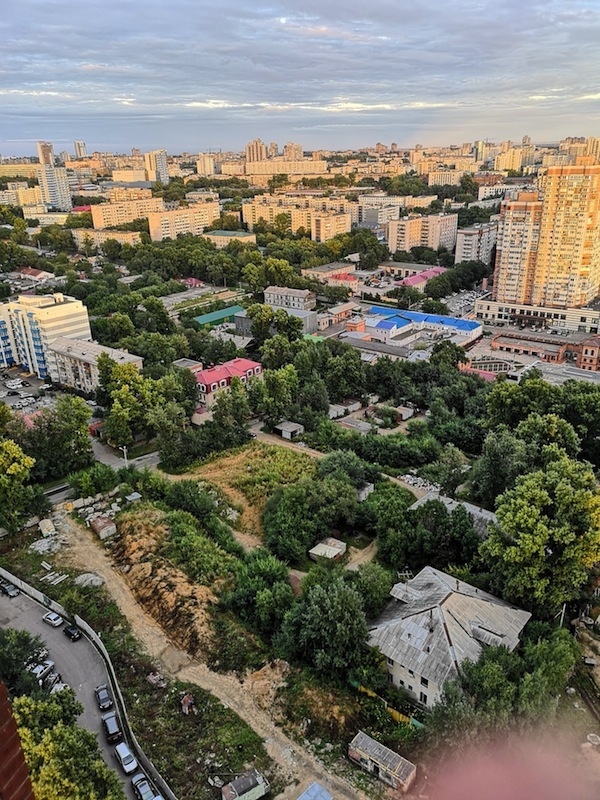 Federation’s Israel and overseas committee chose to help the closest Jewish communities in abject poverty and those are in Siberia’s far east. Khabarovsk is the main city in the area and Birobidzhan is the capital of the Jewish republic, or oblast, of Russia. Jewish republic! Long story. Khabarovsk is about the size of Winnipeg and the winters are about the same, only a little colder – when we were there in the fall, it was generally above 20°C. Birobidzhan has a population of only about 75,000 and both cities are located by very large rivers. Each has a new synagogue/community centre. In Siberia, the younger people have jobs and seem to do well, but the pensioners are lost. Their pensions may have been adequate 20 years ago but the ruble has fallen to two cents. Their income is maybe $20 to $40 a month. Their choice is to feed themselves, heat their home or buy their medicines. Through the JDC, Federation makes it possible to do all three by supplementing their monthly income. It also supports people with disabilities who are unable to work. I am a founding member of Federation and its Israel and overseas committee, and have visited Jewish communities in Poland, western Russia, Austria, Morocco and Cuba. No Vancouver representative had visited our Siberian partners before to see what we’re helping to accomplish. The trip was very rewarding. We saw signs of the rebirth of Siberian Jewish life. Most of the people we met were not English speakers, but we had enough interpreters that language was never a problem. We were also bonded by Yiddishkeit, though the community had had no Jewish education or ceremonies for decades, since Stalin decided to ban the Jewish part of the Jewish republic. No one even spoke a word of Yiddish – this in a place where there was a thriving Yiddish-based culture until the 1950s. 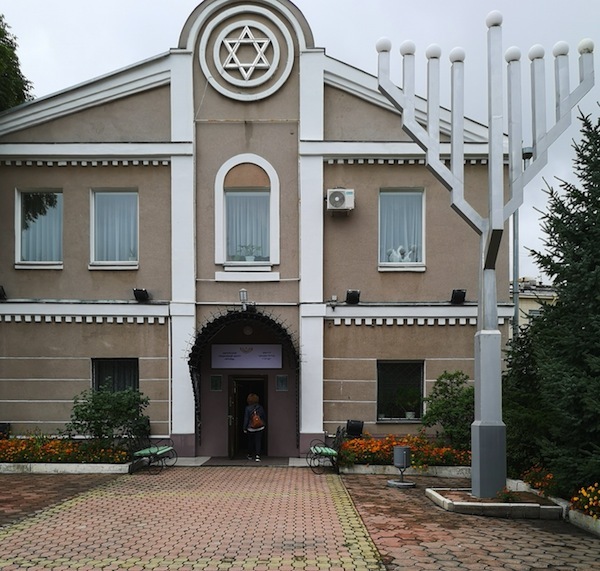 But the street signs in Birobidzhan are still written in Yiddish and there are other symbols of Jewish life, such as a menorah on the monument at the train station. During our visit, we joined in baking challot and delivered them to elderly widows. Upon entering one home, our hostess staggered and almost collapsed. Subsequently, whenever she looked at me she blanched and teared up. I asked what was the matter and she said I looked so much like her father it was like seeing a ghost. She showed me pictures of him and, indeed, he was a handsome devil and doppelgänger. There are maybe 15,000 Jews left in the area. All have the option of relocating to Israel and most have. However, one guy returned, as there was no ice fishing in Israel. Another returned as a Chabad rabbi to lead the Birobidzhan congregation. A young woman came back to be with her grandmother. So many stories. The elderly spoke to us of the war and survival. I asked what happens to the non-Jewish people in similar circumstances with no outside support. They just died, was the reply. We are truly saving lives. In 1989, the USSR’s emigration gates opened. Responsible for prying them open was a small group of tremendously courageous and patient Soviet Jews (called refusenikim for their denied exit permits) who had fought long and hard for their religious and cultural freedom, with thousands of Western Jews and non-Jewish people of conscience. The Soviet Jewry movement, which began in the United States in the 1960s and spread from there to other countries, including Canada, eventually witnessed 1.6 million Jews and their non-Jewish relations leave for Israel and the West. A thrilling climax, but then what happened? While it is hard to say how many Jews live in Russia today, estimates are between 400,000-700,000, approximately 0.27%-0.48% of the total Russian population. Since the early 1990s, efforts to revitalize Jewish life in Russia and other former Soviet Union (FSU) countries have been ongoing. After the dissolution of the USSR, different denominations within world Jewry started operating openly in Russia. Of all the different Jewish religious groups on the scene today, Chabad has probably worked the hardest to bring Jewish awareness to the unaffiliated. It sends its emissaries (usually a couple consisting of a male rabbi and his teacher wife) to Russia and numerous other FSU centres. After so many years of not being able to publicly run Jewish institutions, Russian Jewish communities now have 17 day schools, 11 preschools and 81 supplementary schools with about 7,000 students. There are also four Jewish universities. The major towns have a Jewish presence, with synagogues and rabbis. 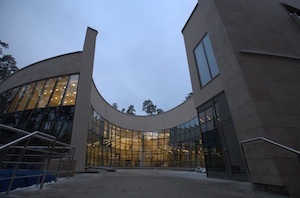 In the past few years, a state-of-the-art Jewish museum even opened in Moscow and a deluxe Jewish community centre containing a small movie theatre, synagogue, mikvah, kosher gourmet restaurant and guest rooms for Sabbath observers was inaugurated in December 2015 in Zhukovka, near Moscow. Yet the picture is far from rosy. In an introductory essay to An Anthology of Jewish-Russian Literature: Two Centuries of Dual Identity in Prose and Poetry (2007), book editor Maxim Shrayer critically views Jewish cultural life in post-Soviet Russia: “… my preliminary conclusion is that Jewish-Russian writers whose careers were formed during the Soviet years continue to address Jewish topics in their work, some due to a renewed personal interest as well as the freedom to write about it, others out of cultural inertia. At the same time, younger authors of Jewish origin in today’s Russia have tended to be assimilated and Russianized, resulting in a dearth of Jewish consciousness in their writing. In Jewish Life After the USSR (Indiana University Press, 2003), Prof. Zvi Gitelman claims that, following the breakup, Russian Jews have become increasingly less concerned about intermarriage. 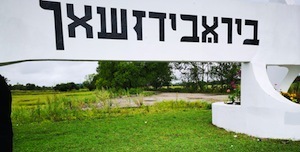 Ethnic identity as such seems to be based on antisemitism – even if it is unofficial, popular antisemitism rather than state-sanctioned antisemitism. Looking to the future, the offspring of these intermarriages are likely to feel less tied to Judaism. Speculatively, they are likely to remain so unless Russian-based Jewish institutions are willing to “reach out” to people who, according to the strict reading of Jewish law, are not considered members of the “tribe,” he argues. In the post-USSR age, Jewish culture in Israel and Russia mix in unexpected ways. Gone is my grandparents’ generation who, once out of Russia, never again saw “left behind” family members. Today, many former Russian Jews living in Israel (and vice versa) frequently fly four hours to visit relatives who did not leave. According to the Israeli Ministry of Tourism, there were 60 weekly flights from Russia to Israel, as of the end of December 2015. But the exchange is beyond familial ties. Here are four examples – two from the arts and two from the sciences. Also in the film world, just a few months ago, Vladi Antonevicz released Credit for Murder, a documentary dealing with the topic of Russia’s neo-Nazis. As if the subject in and of itself is not dangerous enough to undertake, Antonevicz’s film apparently exposes a connection between the Russian administration and these hate groups. Antonevicz claims that certain Russian politicians are manipulating neo-Nazi activity to further their own political needs. To make this film, Antonevicz infiltrated Russian neo-Nazi groups, secretly investigating an unsolved double murder. He succeeded, but some say his small film crew has had to lay low after completing the film. Finally, medical tourism from Russia has blossomed. Many well-to-do Russians come to Israel to be treated by Russian- and Hebrew-speaking doctors, nurses, technicians and medical secretaries (see imta.co.il). A cause for hope and promise? Stay tuned.